A striking starburst-tiled motif creates a statement piece for your space. 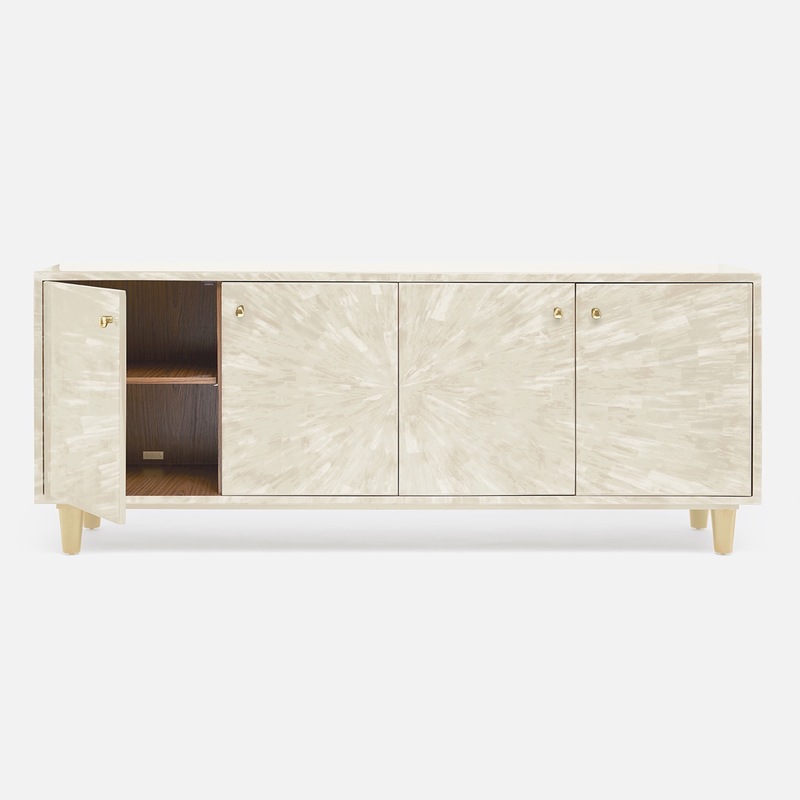 This stunning cabinet features an overlay of faux horn in a mesmerizing range of ivory tones that's sure to become a treasured piece for decades. 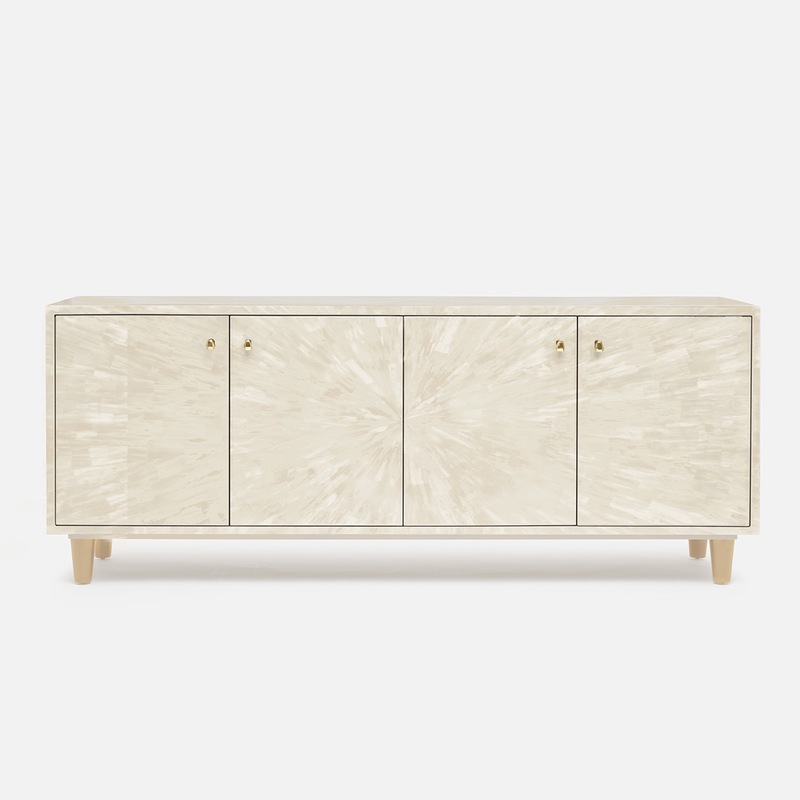 Boasting four doors that utilize soft, self-closing glides, each is adorned with scupltural brass knobs. 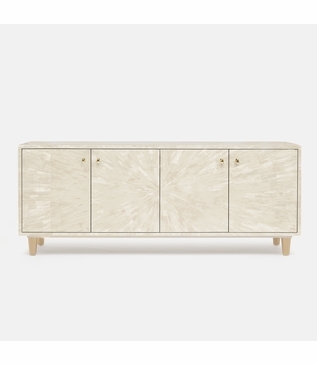 The sturdy cabinet is poised atop beautifully ivory-laquered legs. Inside, you'll find ample shelving for convenient storage and the generous top surface provides a astage for displaying your favorite decor.